On a lovely fine Sunday, Carrigtwohill welcomed Richmond to Ballyadam Park for a last 32 Local Cup match. Missing a few players because of injury and other commitments, it meant that 3 Under-12 players made up the match day squad. 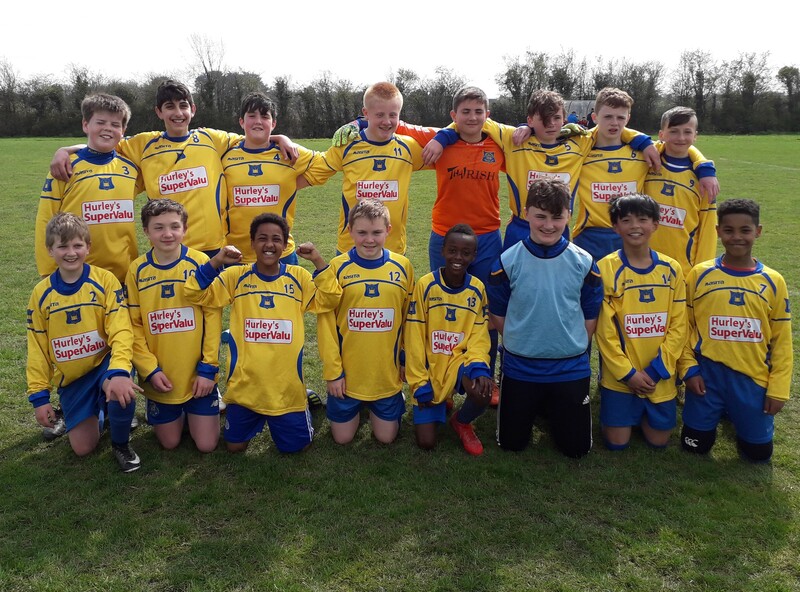 Starting well Carrigtwohill took the game to Richmond and took a deserved lead after 5 minutes when after some great football through midfield Phillip broke down the wing and put in a brilliant ball for Evan to finish to the corner. Richmond took the game to the hosts after this and got a deserved equaliser before Carrigtwohill again took the lead when a speculative shot from Ryan went through the goalies legs. Unfortunately, they conceded again before half time when the midfield got caught out of position to leave the game level at half time 2 all. The second half started with Richmond on top and they took the lead. The real character in this team then shone through when Amany equalised from the edge of the area. 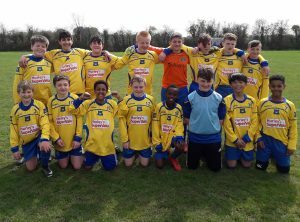 In true Cup fashion Carrigtwohill got a last minute winner when a corner from Phillip was half cleared and Hayden was on hand to brilliantly lob the Richmond goalie for the winner. Player of match goes to the full squad for a brilliant effort and they go into the last 16 of the Cup. A special mention also for the big support out to encourage the team.